Play Rogue One: Boots on the Ground. Lead the Rebellion against the Empire as you select your team to go on missions to help the Rebel cause. Play as all your favourite characters - Jyn Erso, K-2SO, Baze Malbus, Cassian Andor and Chirrut Îmwe as you visit your favourite Rogue One planets, in this brand new game for the Star Wars Arcade. 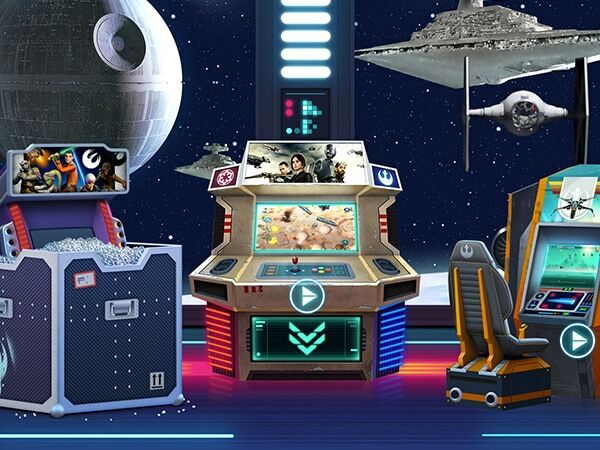 Enter the Star Wars Arcade, play amazing new Star Wars games, collect tokens, earn trophies and decorate your very own room featuring your favourite Star Wars characters.